premium limousines and enjoy your evening in comfort while a professional driver takes you where you need to go. Our Lincoln Towncar Stretch Limousine is a great vehicle for a night out on the town with a friend or loved one. This vehicle offers a higher level of comfort and luxury to make your ride fun and memorable. 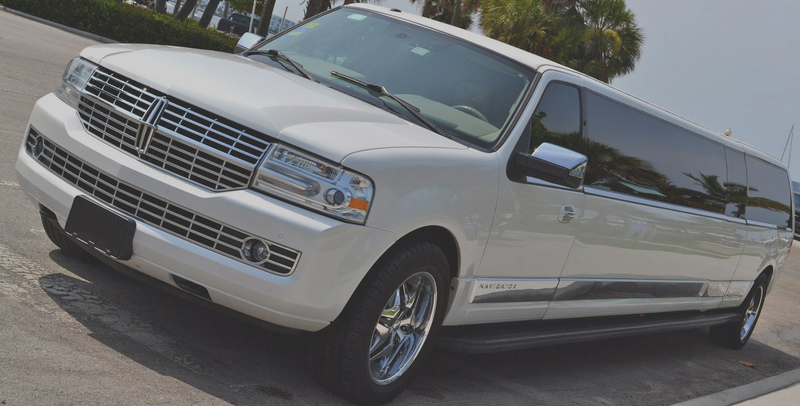 Our flagship transportation option is the Lincoln Navigator Stretch Limousine. We recommend this vehicle for group functions, weddings, and bachelor/bachelorette parties when luxury and comfort are of utmost importance. Our super size Limo Bus option is literally the best way to transport a large number of guests. If you have a large wedding or birthday party coming up, this is the best option for you. We’ve had guests take this vehicle to their wedding, reception, and beyond. Please note: The consumption of alcohol in (any) motor vehicle is strictly against the law in BC, regardless of age. As per Section 44(1) Liquor Control Act of BC. Weddings are a special time not only for the bride and groom, but also for family and friends. Thats why it's so important that everyone is able to enjoy the festivities to the fullest and enjoy a positive experience. We have years of experience transporting wedding guests, and care about the details on your big day just as much as you. Corporate events are a great way to encourage your team to work together, and celebrate those important wins. Whether your company has a special event coming up or you just want to take your team out for a good night of fun, we have you covered. Start your trip off right from the moment you leave your home. With our premium airport shuttle service you no longer have to worry about traffic, parking expenses or fuel charges. Our professional drivers are available to provide you with door to door service so you can focus on having fun. Whistler is one of those places that everyone loves. Whether you are a local, or are visiting from out of town you haven't experienced the Vancouver life until you've taken a trip to Whistler. Save yourself the time and hassle of driving on those windy roads by hiring us to get you there while you relax and enjoy quality time with your friends or loved ones. If you have tickets for the concert or game, why not grab a limo too! It's always more fun to go with your friends in a limo, and the bonus is that you can enjoy your night without worrying about drive after. Sounds like a smart idea to us! Vancouver is a beautiful city, and our knowledgeable drivers help you see it from every different perspective. Your private limo will be chauffered by a driver with extensive knowledge of the Greater Vancouver area to make your trip unique and memorable. "Great customer service and hospitality by the chauffeur made our sightseeing experience in Apex Limos an absolute pleasure." "Me and my friends had a great time on my 18th birthday, and Apex Limos rocks for making sure that we had an awesome night!" "We hired Apex Limos for our wedding and could not be happier with the service. Our driver was professional and very friendly which means a lot. Thanks again!" © Copyright 2015 Apex Limousines Inc.